A car air conditioning system that is not operating at peak effectiveness lowers the performance of the vehicle. For one, it puts extra pressure on the engine to maintain certain levels of cooling – much more than what would be needed to run a well serviced car air conditioner. The result is poor fuel efficiency and higher running costs. This is why it is so important to have the car air conditioner serviced and checked periodically. 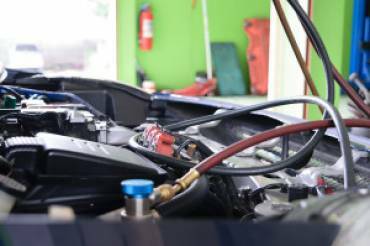 However, it is always advisable to contact an authorized and certified service centre for car air conditioning service Braybrook. The advantages offered by an accredited garage are many. They have the latest diagnostic tools that can accurately pin-point the any problem, an aspect that is very crucial if quality repairs and servicing have to be carried out. All the technicians are also highly trained and skilled in any job related to car air conditioning servicing and can quickly and efficiently complete the task. When it’s a matter of your car always put it in the best hands. The main issue generally related to a car air conditioner is a drop in gas pressure that necessitates fresh charging of gas. The process involves removing old refrigerant, oil and dye, cleaning and drying out the components and topping up the gas and liquid. If there is a drop in pressure again, it is a sign of leakage which is then detected and sealed. Finally, car air conditioning service in Melbourne is said to be completed when the technicians find that the cooling levels are as high as it should be. One of the reputed garages and service centres offering state of the art car air conditioning service in Melbourne is Western Auto Services based in Tottenham Victoria. Our technicians have the necessary professional expertise and the latest tools to offer excellent car air conditioning service. Our customers can book a servicing slot online, tell us about the problems with the car and get a free quote. In fact if the cooling levels do not increase after regas done by us, we do not charge car owners for the service. For more details call us now 03 9314 6522!